For a picture in which Edward Van Sloan (Dr Waldman and Van Helsing in the earlier Dracula) considerately comes on to offer a “friendly warning” of the terror to come, it’s curious how unguarded the screenplay is in setting out its store of what is going on, why and how the characters happen upon it, as if it’s in a hurry to get all that ungainly exposition out of the way. We’re located in the Bavarian Alps, courtesy of a soundstage, except when clearly sunny Californian exteriors – with added lederhosen – are doubling for it, and the supporting characters are already fully aware that Henry Frankenstein – the name Victor is reserved for the not-actually hero played by John Boles, even though he comes on as if he’s destined to be – is unhinged and doing something untoward. And when they rock up at his abandoned watchtower, it takes very little for Henry to confess all (and then somehow persuade Waldman to hang around). If the story construction is on the sloppy side, though, this is leaps and bounds ahead of Dracula as a production. It also helps that the central casting is so vital, Colin Clive bringing a twitchy theatrical zeal to Henry that’s entirely appropriate to the tone and atmosphere (he’d played Stanhope in director James Whale’s stage and film productions of Journey’s End). His “He’s alive!” is justly iconic, possibly more so than the creature itself (okay, maybe not that), and he’s only lessened ultimately by the strictures of the script in corralling him into a nominal hero role for the final act, during which he heads out to put an end to the creature with an entourage of villagers. Before that, when he announces “Now I know what it feels like to be God!” he’s exactly the kind of maniacal genius you want to spend time with. 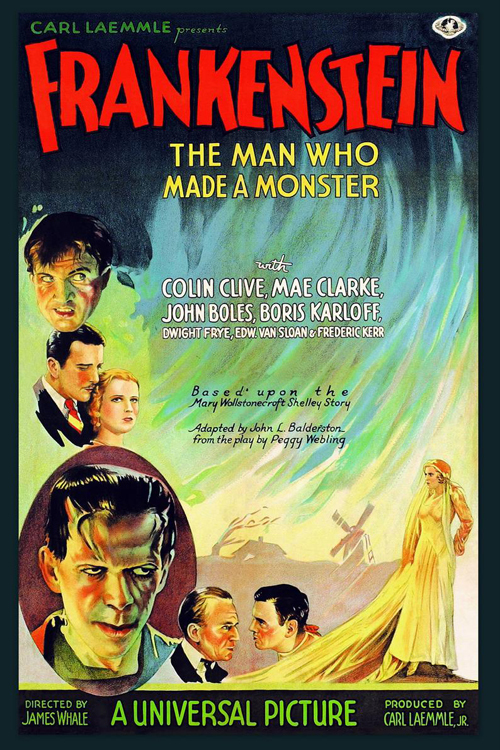 Then there’s Karloff, (or “?” as the credits fail to announce), now the indelible vision of the monster and at once crazed and violent and sympathetically innocent. Enough of the picture has been so closely spoofed by Mel Brooks in Young Frankenstein (the abnormal brain of a typical criminal most redundantly, as it already plays like farce here) or homaged (the scene with the little girl is still kind of shocking, but gave rise to The Monster Squad’s less downbeat version) that it can be difficult to see this with unspoiled eyes, but this monster still feels entirely afflicted and tormented in a genuine way. At times very literally, courtesy of Dwight Frye’s Fritz (Frye being another fugitive from Dracula, and much more impactful there; here he’s little more than a stooge sadist). 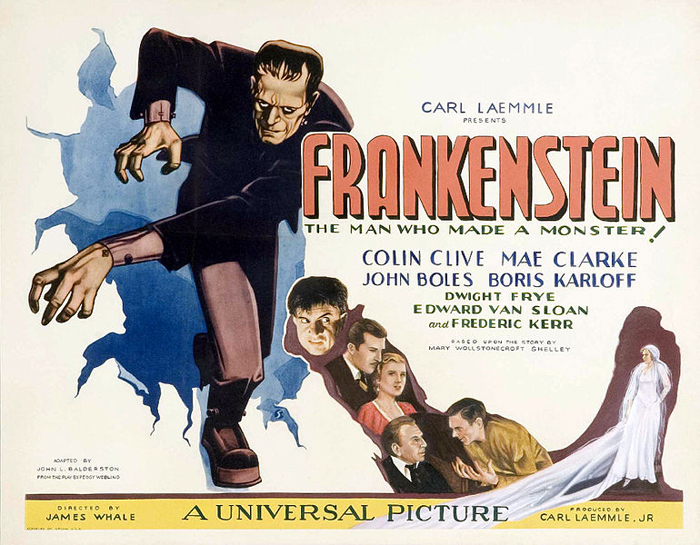 Mae Clarke as Henry’s fiancé is less than fully engaging, however, while Frederick Kerr’s Baron Frankenstein is so bizarrely out of his element – in a bumbling duffer, Nigel Bruce sense – that he’s in danger of bringing the entire edifice down around our ears, in much the same manner as the villagers bring down the monster at the climax, setting alight a windmill (a hugely impressive sequence). The Baron ends up with the last word, and it feels rather like a sop to send viewers home without a trace of terror in their hearts. And yet, even though the confluence of events, such that the monster’s on the loose (having killed Waldman) on the same night as Henry’s nuptials, becomes progressively more ungainly, the picture retains a sporadic power. Waldman being on the verge of dissecting the monster when it strangles him is strong stuff, as is the creature throwing the little girl into the lake, expecting her to float, and she singularly failing to do so. Whale brings a twisted, pre-Hayes Code poetry to the material that’s still potent. 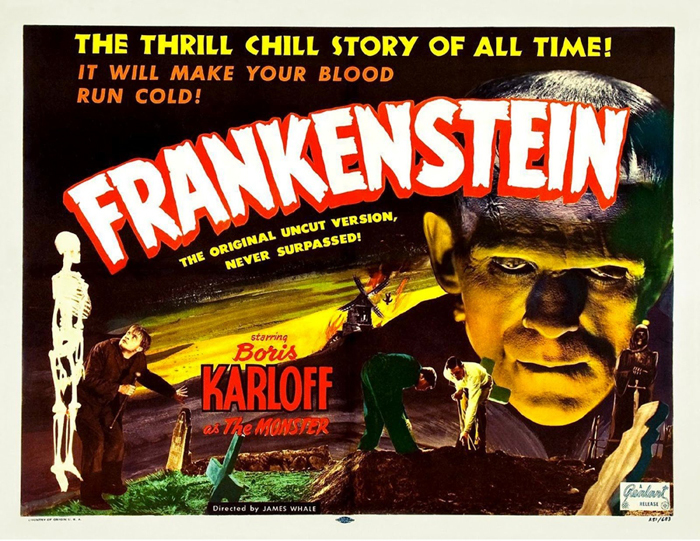 Generally, I wonder if it’s deceptively difficult to make a good Frankenstein film. Whale managed to improved on himself with his follow up, but the likes of Hammer and Sir Ken haven’t come close. The best is probably Brooks’ spoof, and that’s so indebted to Whale that he’s still, almost ninety years on, the last word in the making of the monster.